Lily Casey Smith, this novel's feisty Texas protagonist, is a frontier teacher, a rancher, a rodeo rider, a poker player, and bootlegger. In Half Broke Horses, she survives droughts, tornados, floods, poverty, and whatever else fate can throw against her. Based on author Jeannette Walls's grandmother, Lily is a plausible character because she has a voice that synchronizes with her history. This novel lives up to the still-gathering acclaim for Walls's novel The Glass Castle. After reading The Glass Castle, I was excited to dive in to Half Broke Horses. 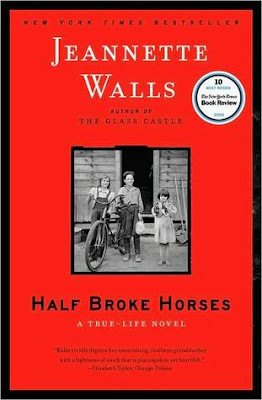 While The Glass Castle was a memoir, this book is billed as "a true-life novel" because of the way Jeanette Walls approached the book. Rather than tell her grandmother Lily's history in third person, she decided to write it in the first person. Lily is the narrator of the book - her stories so legendary within the family that Jeanette felt it was a stronger book when written in Lily's voice. I still can't decide if I liked that aspect of the book. I felt like The Glass Castle packed such a punch, but Half Broke Horses just wasn't quite all there for me. Lily is absolutely a force of nature. So much happens to her and she makes so much happen, it's almost hard to believe it all really happened. She's a larger than life woman, and it was really interesting to read about all that she accomplished in her life. It also provides more context for The Glass Castle because you get to know the woman that raised Jeanette's mom. The contrast between Lily and her daughter is quite interesting. I didn't find it nearly as compelling as Jeanette's memoir, but it was still an interesting read. Because it's written like a novel, I just felt like I didn't buy into it all. I questioned how much was true, what was embellished and what Lily's feelings really were (rather than her granddaughter's interpretation of what her grandmother's feelings might have been). I think it fell short for me because I spent so much time questioning everything. If I'd be able to get past that, I probably would have liked this a lot more. "Sometimes after I finished a particularly good book, I had the urge to get the library card, find out who else had read the book, and track them down to talk about it." Oh wow. Okay, this is good, Hannah, because I've always wondered about this book. The Glass Castle was just so...wow...that I had to read parts of it over again and out loud, ya know? So unbelievable. And I've always wanted to read this one but I wasn't sure what I was going to get. I didn't realize it was more first-person from Lily's POV and all of that. 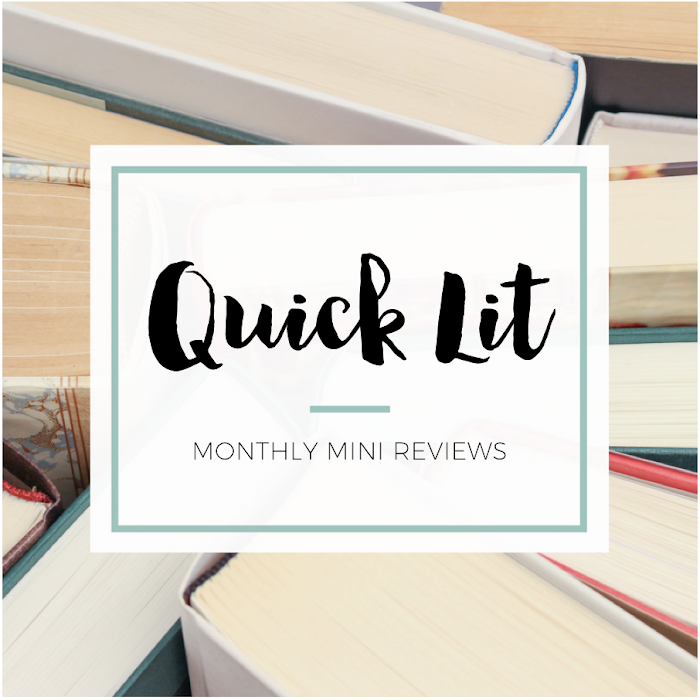 What I want from the author is another book like The Glass Castle, even though I'm not sure it could have been done that way, because there were just so many different thoughts and emotions that I had while I read it and I LOVE THAT about reading a book. So, I don't know. I don't think that after all of this time I want to rush out and grab Half Broke Horses, but I feel like I'll eventually read it. WOW, that quote. I love it. I want to put it in my quote notebook, even though I haven't read this book! I know EXACTLY what you mean! I felt the same way about The Glass Castle, which I think is why this didn't quite live up to the high bar it set. That being said, it was definitely still a good read! I think if you know what you're getting (first person, fiction feel) than you'll have a good mindset going in to it. Awe, I'm sorry you didn't like this one as much Hannah! I actually read Half-Broke Horses first, and then The Glass Castle so I think that's why I enjoyed it more; I could imagine her mother better seeing as how I had just read about her as a young girl! 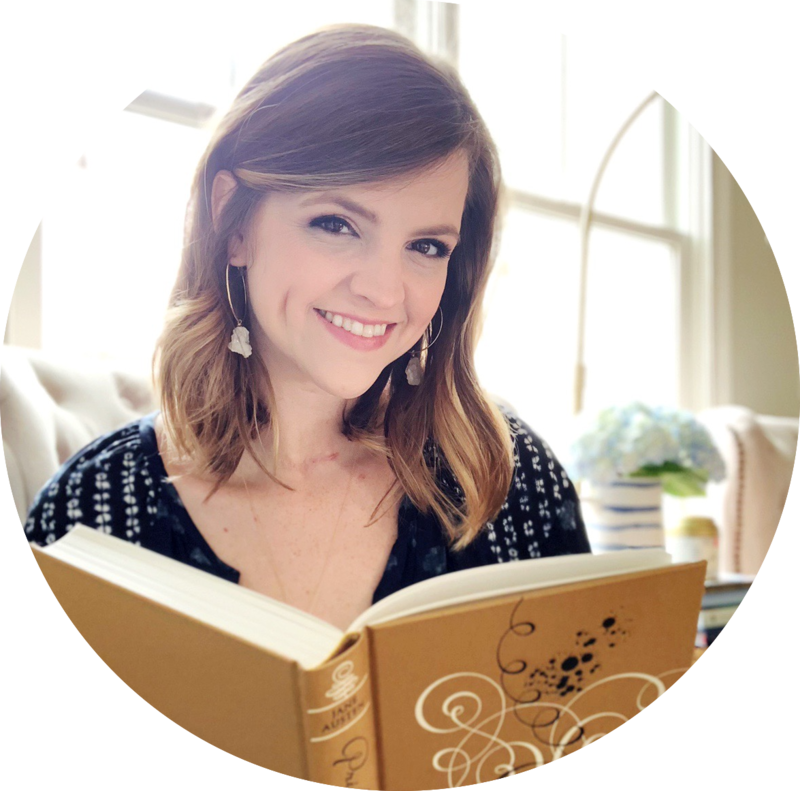 Have you read her newest book yet? Yeah, I kept wondering if I would have liked this one more if I'd read them in that order. Who knows! I hate how expectations can really affect my reading experience. And no, I haven't read her newest yet but I want to! Have you read it? !